Shayne Hunter has been appointed Deputy Director- General Data and Digital at the Ministry of Health. The new role was announced in the recent Ministry restructure, which created a Data and Digital directorate. Hunter is currently the chief information officer for Capital & Coast, Hutt Valley and Wairarapa DHBs where he’s been a member of the ELT for each district health board. He chairs the Central Region DHB’s CIO group and was previously the chair of the Health Sector National IS Leaders Forum. Prior to his role as CIO, he was based at the Ministry and led a number of national initiatives in the area of medicines management. 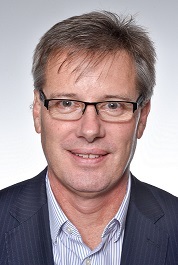 NZ Health IT chief executive Scott Arrol says the organisation welcomes Hunter's appointment. "It is important to have certainty whenever a senior role such as this is being filled so it’s good for the sector that this appointment has been made within a reasonable time period and (Hunter) will be able to hit the ground running when he commences in mid-March," Arrol tells eHealthNews.nz. "(Hunter) brings a depth of knowledge and experience to his new position that will be invaluable over the next few years and NZHIT’s members look forward to working with him and his team to deliver on digital technology’s ability to enable the delivery of world class health and wellbeing services." The MoH restructure, announced last October, meant the chief technology and digital services officer role held by Ann-Marie Cavanagh was disestablished. Cavanagh has been acting DDG Data and Digital until Hunter’s appointment was announced. A Ministry statement says Cavanagh remains employed by the Ministry of Health and is still committed to the health sector. Arrol says, "it is important to acknowledge the commitment (Cavanagh) has made to New Zealand’s health sector during what would have been a very challenging two-year period". The document explaining the restructure says the new Data and Digital role, "will be responsible for ensuring that our data collections and digital technology support the health system to deliver better services and health outcomes". As part of the restructure, the Ministry's ICT function has been moved to Corporate Services and Microsoft NZ public sector manager Sue Gordon has been appointed to head up this directorate. In her Microsoft role, Gordon has been responsible for negotiation and delivery of the all-of-government agreement. Her first management role was HR manager at the MoH and she says she is pleased to be returning to the Ministry and wider health sector.